Eyebrow Microblading Explanded – What is this semi permanent tattooing technique? Never underestimate the power of the brows’ – this popular catchphrase is a testament to the transformative effect that eyebrows have on facial features. Eyebrows can single-handedly make or break your appearance. Great brows elevate your features much like a mini face-lift and set the tone for facial expression. However, drawing your eyebrows on a daily basis may not be the most practical solution. The process of creating symmetrical brows every morning is not only time-consuming and tricky but also requires careful attention throughout the course of the day to avoid inadvertently smudging your masterpiece. 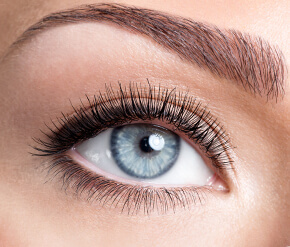 Not surprisingly, eyebrow ’Microblading’ has become the no.1 requested cosmetic tattoo procedure in recent years. It has quite literally exploded in popularity worldwide due to the very natural results produced when performed by skilled technicians. Microblading is a manual tattoo technique using a hand tool, similar to a pen, which has a row of ultra-fine needles attached. No machines are required and there are many different needle configurations available to the technician. Although the ‘manual’ tattoo method is an ancient technique, the tools used have changed throughout the ages. The modern microblade / hand tool that I prefer to use is a pre-sterilised and fully disposable item containing the hand piece and needles in a single unit. This offers the best protection for hygiene and safety in my view and bypasses any potential problems associated with sterilisation methods relating to the reuse of hand pieces with separate disposable needles. Microblading is performed by drawing ultra-fine hair-strokes using the hand tool needles dipped into specially formulated hypoallergenic pigments and deposited into the upper dermis. Well performed microblading mimics real eyebrow hairs unlike any previous tattooing techniques. It’s little wonder that technicians and women the world over are embracing this method of eyebrow tattooing on a massive scale. There is some confusion amongst the general public, at times, due to the many alternative terms that are used in the industry to describe the very same microblading process: 3D eyebrows, 6D brows, feathering, feather-stroke, feather-touch, eyebrow embroidery, micro-stroking, semi-permanent brows and micro-feathering just to name a few. Microblading takes around 2 hours to perform and includes the application of a topical anaesthetic as well as the all important eyebrow design phase. Inherent asymmetries and customisation of the perfect eyebrow shape for each client take time and should not be rushed. Price should not be the driving factor in your technician selection process. Instead you will need to evaluate background education, training, experience and the personal taste of each artist. Technicians will all have their own distinct style and approach to designing the eyebrow and microblading the hair-strokes. Some will mainly draw upward strokes or downward strokes or a combination of the two, whilst others will follow the existing hairs natural growth direction. Some will curve the strokes while others will keep them straight throughout. Looking through an artists image portfolio will help you decide which style you prefer and which technician to choose. Women who have previously had ‘block’ tattoos may also be able to transition to microblading as their old tattoo fades. Microblading will then add some much needed texture and a 3D effect to the flat looking ‘block’ effect. For further information and advice please consult with your technician. 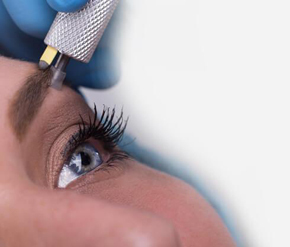 Semi permanent microblading is generally considered to last anywhere up to 2 or 3 years. However the actual duration is impossible to accurately predict as clients’ retention of colour varies considerably and is influenced by many environmental factors. Periodic retouches to refresh the colour are necessary to maintain beautiful looking microbladed eyebrows. You’ll wonder why you didn’t have them done sooner! Get a Free Microblade Assessment Now!